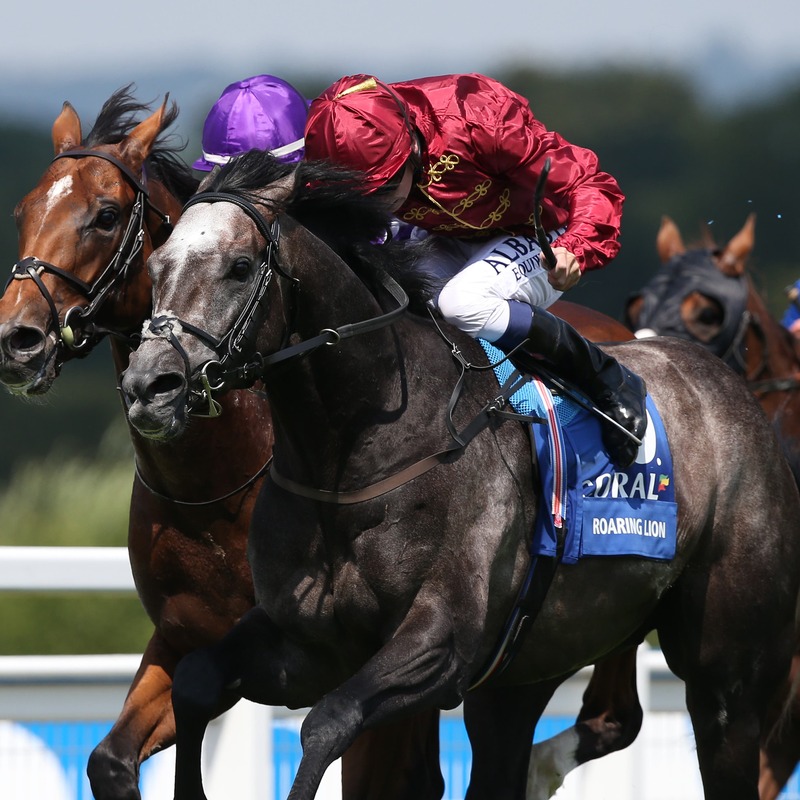 Roaring Lion pleased connections as he stepped up his preparations for the Juddmonte International at York later this month with a racecourse gallop at Newmarket on Saturday. The John Gosden-trained son of Kitten’s Joy made his first appearance on grass since winning last month’s Coral-Eclipse at Sandown when working just under a mile with a stable companion before racing. Partnered by Robert Havlin, the Qatar Racing-owned three-year-old, who participated in a similar exercise before tasting Group One glory at the Esher track, pulled smartly clear of his lead horse during the closing stages of the gallop. Gosden said: “He worked with a much better horse than he did the last time he did this. I was very pleased with him and he worked very nicely. Rab said he had plenty left. “It is the first time he has been on the grass since the Eclipse. The Limekilns this morning was the first time most had seen the grass for eight or nine weeks. “He has been in great nick. He has been in good form since Sandown and we are happy with him. Gosden has not ruled King George defector Cracksman out of joining his stablemate in the mile-and-a-quarter Group One prize, should conditions be suitable. He said: “It is too far off to say if Cracksman would run. We don’t know what the ground will be. Anything is under consideration, we will just see what the weather does. “The weather has very much dictated our season so far. It is not often we have had it as dry as this. “The autumn racing is very important to Cracksman, there is no doubt about that. An outing on the Knavesmire appears unlikely for multiple Group One winner Enable. She holds entries in both the Yorkshire Oaks and Juddmonte International, but the 188Bet September Stakes at Kempton on September 8 is the favoured target, ahead of her Prix de l’Arc de Triomphe defence. Gosden added: “She worked this morning with Frankie (Dettori). She is very well in herself and in good form. “I think it is more likely she will go to the September Stakes rather than rushing to get to York. “It is right-handed, she has got to go right-handed at Longchamp and it’s a month off the race (Arc), so it is quite nice timing.